Prolinnova–Mozambique implemented considerably more activities in 2017 compared to the previous year. The Country Platform (CP) carried out a refresher course on local innovation and Participatory Innovation Development (PID), renewed and strengthened its National Steering Committee, appointed focal points at provincial and district levels, published a catalogue of local innovations and planned its activities for 2018. The annual report gives a detailed account of the CP's achievements in 2017, and includes the backstopping visit to Mozambique by Brigid Letty from Prolinnova–South Africa, which was planned for 2017 but could be made only in early 2018. Prolinnova-Mozambique is a network that promotes local innovation in ecologically oriented agriculture and natural resource management in Mozambique. 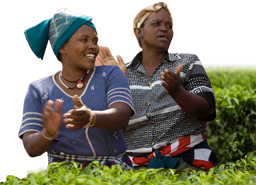 The network builds on and scales up farmer-based approaches to development. 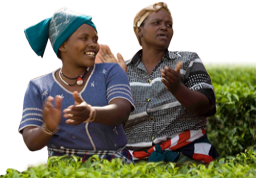 It strives to stimulate and enhance partnerships among the various stakeholders in research and development, mainly among farmers, extension workers and researchers. The network was established in late 2006. Since mid-2008, its National Secretariat is hosted by the local NGO ADCR (Associação para o Desenvolvimento das Comunidades Rurais / Association for Development of Rural Communities), based in Xai-Xai, Gaza Province. Besides the five NSC members (see below) and the host organisation ADCR, Prolinnova-Mozambique works with eight partner organisations, based mainly in Gaza Province: ACOSADE, AREPACHO, KUVUMBANA, Nupuwele, DPA (Gaza Provincial Directorate of Agriculture), PEDALAR, Save the Children in Gaza Province, and Twanano. Presentation of its work at the ENLACE D meeting in Córdoba, Spain (2011).